The Westfield School utilizes the Iowa Test of Basic Skills (ITBS) to test students at grade levels 3 - 8. The ITBS is a national standardized, norm-reference test which provides an in-depth measure of important educational objectives in the areas of reading, language arts, mathematics, and social studies. It provides reliable and comprehensive information both about the development of students' skills and their critical thinking abilities. The ITBS scores measure the grade equivalency as well as the comparison of the students' performance to the performance of other students nationwide. Westfield utilizes the ITBS scores to identify strengths and weaknesses of individual students, make appropriate adjustments to the curriculum in order to maximize student achievement, and provide feedback to students and parents. The Core Total score is the average of the Reading, Language, and Mathematics test scores over the following areas: Reading (Vocabulary and Reading Comprehension), Language (Spelling, Capitalization, Punctuation, and Usage/Expression), and Mathematics (Concepts/Estimation, Problem Solving/Data Interpretation, and Computation). The Grade Equivalent score represents the typical performance of students tested in a given month of the school year at a particular grade. For example, Westfield's Class of 2020's (8th graders in the 2015-16 school year) overall grade equivalent score of 12.3 on the Core (Reading, Language, and Math) reflects the score that students finishing the third month of 12th grade would likely score on the Core test. The grade equivalent score helps to estimate the students' developmental status or year-to-year growth. 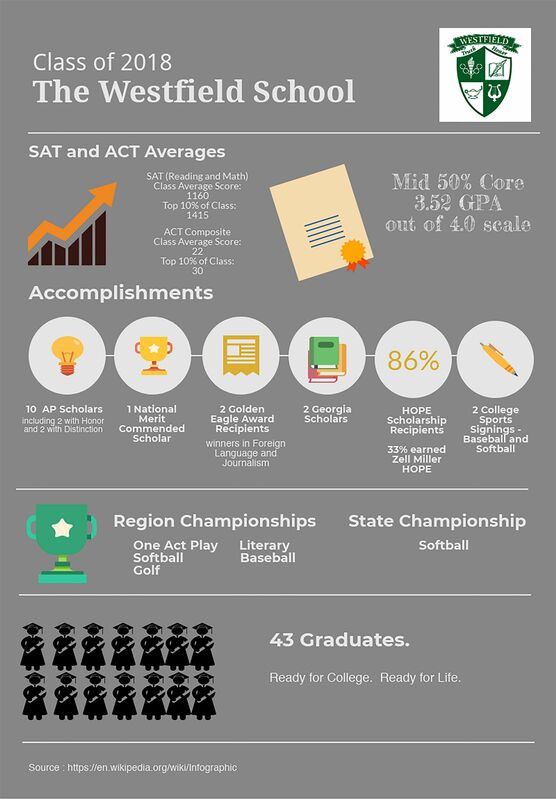 Please see the graphs to the left for more information about Westfield's Grade Equivalent scores. The National Percentile Rank (NPR) score compares the students' achievement to the achievement of a national sample of students who are in the same grade and were tested at the same time of the year. (Westfield teaches in the spring each year.) For example, as shown in the chart below, Westfield students in the Class of 2024 (4th graders in the 2015-2016 school year) earned a percentile rank of 96 on the core total score, meaning that Westfield 4th graders scored higher than 96 percent of the students in the national group of 4th grade students who took the ITBS in 2016.